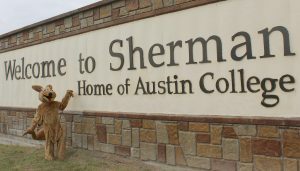 Welcome to Austin College…a great place to work! We’re so glad you’ve chosen to work with us. The following modules introduce you to our community via our history, mission, governance, policies and procedures, benefits of Austin College and other employment related matters. The modules also contain references or links to various resources that provide additional information regarding your new employment home. Once you’ve completed the slideshow, be sure to click on the appropriate acknowledgement form. A personal or group orientation will be provided by a member of the Human Resource Office to reinforce key components of employment, collect employment information and forms, as well as field any questions or concerns that may arise after completing these modules. To navigate a module use the appropriate hyperlinks (found at the beginning of each module) then use the “Back” arrow button to move back one slide and the “Next” arrow button to move forward one slide. At the end of a topic, the “Back” button will return you to the slide containing all the hyperlinks in the module. Information presented in the modules are primarily from Austin College’s Operational Guide, various Plan Documents, governmental regulations, and/or insurance certificates/brochures. If a discrepancy exists, the governing document or law trumps the PowerPoint slide every time.